Practices rooted in witchcraft (think crystal healing, tarot reading, spells, and divination or fortune telling) are experiencing a wholesale resurgence in American culture at the moment. In fact, these ancient, female-helmed rituals, which were once considered so evil they could get you executed, have become so mainstream that huge retailers like Sephora and Anthropologie are selling witchy materials (rose quartz, tarot decks), and hip beauty brands like Glossier and Herbivore Botanicals are releasing crystal-infused products. This mainstreaming of witchcraft is providing community and healing for so many people who might not otherwise have been exposed to these practices, but one also has to ask: Is it problematic that hundreds-of-years-old religious practices deeply connected to gender, racial, and socioeconomic oppression are becoming "trendy"? To find an answer, we asked four real practicing witches to lend their take: Gabriela Herstik, L.A.-based author of Inner Witch: A Modern Guide to the Ancient Craft; Chani Nicholas, an intersectional feminist L.A. astrologer with 20 years of experience; Tatianna Morales, an intuitive tarot therapist in New Orleans; and Katie Paige, an up-and-coming tarot reader and wellness blogger from Chicago. These witches got real with us about why witchiness is so popular right now, whether or not it's a problem, and more. Keep scrolling to read our conversation! 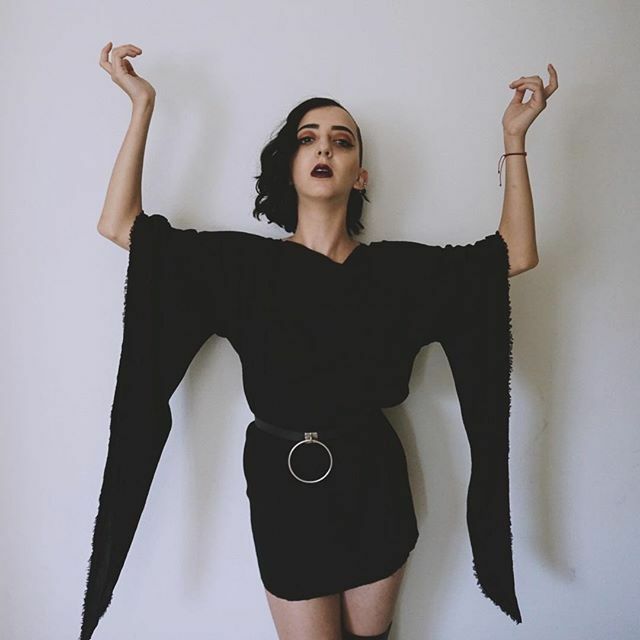 Why do you think witchy practices are becoming trendier or more mainstream right now? Tatianna Morales: I think it’s the evolution of our generation. We have millennials who are breaking the status quo, finding their voice, finding that society is failing us in all ways—government, religion. Things are crumbling in front of our faces. So we’re all scrambling to find the truth, what aligns and resonates with us. Then on top of that, we have Generation Z, who are all trailblazers of change. So with this new wave of people and energy, of course they’re going to get into things that their parents and grandparents have not gotten into. They’re hoping to fight the patriarchal system, helping there to be more advocates in their communities, helping to heal themselves and their families. I think it’s really just a call for healing, both personally and collectively, that’s making this spiritual craze so big. Chani Nicholas: I think the reason why astrology and magic and all of these things are having a resurgence and a moment of popularity is because a lot of people feel disconnected from their religious heritage and are searching for something to connect to. I think what we really need in life are ways of holding our experience, and if you do things like celebrate each new moon or mark each new moon, you're in a rhythm with yourself and your life and also with nature, and that rhythm feels good because it's a way of marking time and it's a way of, again, grounding oneself in the present moment and also keeping track of one's own growth. It's just like going to therapy—if you go to therapy, or if you go to healing, or if you work out on a certain day at a certain time, your body and spirit start to get some relief. I think we got so far away from a lot of rituals that our ancestors might have done, but now we've kind of come back to this place where we say, you know what? A ritual or two would be good. It'll make me feel like I'm not floating off into space. Like I am connected to something and that there is meaning here. We need something to give our life context, and even seeing a message on social media can make you feel validated or seen or witnessed or understood in some way. Gabriela Herstik: There's always going to be a rise in occultism or witchcraft counterculture when things get tough in the world. People were seeing us [witches] in the '70s. They saw us the '90s, and we're seeing a rise in witchcraft again now. That's just how it goes. Do you think the mainstreaming of witchy rituals is problematic? TM: I can see a lot of people’s reservations about it because there are a lot of individuals who are very passionate and have good intentions getting into tarot and divination, but sometimes they’re a little impulsive to call themselves healers or trying to ride the wave of this trend. Some people aren’t as informed as other people who’ve been in the industry for quite some time and are really dedicating their lives to educating themselves. CN: I think it is what it is. For people that are using things in a superficial way, then it's going to have superficial results, and that's totally fine. I see people that might not have a ton of experience and they might be teaching these things. But you know, the teaching of it without a lot of experience is, again, most likely (hopefully) not going to do much harm because it also probably won't have that deep of an impact. This is in style right now. It will go out of style. But you know what? That's also okay. Katie Paige: The only thing that bugs me is when people just kind of use it as an aesthetic or talk about things they don’t really know about. Like, “I got a crystal!” but they call it by the wrong name. My rule is do your research. Is there anything positive about witchcraft becoming trendy? GH: For me, it's generally been great, and I really appreciate the visibility. People used to be killed for being witches, and you know what? They still are. That is still happening around the world. As the daughter of Holocaust survivors, I really don't take the privilege of being able to do this work and publicly call myself a witch, of being able to talk about my spiritual practice or religion, lightly. It means a lot to me to be able to share practices with people to help them connect to something bigger. It is just an honor. KP: I generally think it’s really great that it’s becoming more of a mainstream thing. When I was in high school 10 years ago, if I were to announce, "I'm a tarot reader and I do magic," it probably wouldn't have been the best idea. But it's becoming much more accepted, and I think that’s great. What can people do to become more educated about witchcraft? CN: The people that want to take these practices deeper can dedicate a certain amount of time and energy to it, and that's going to have a more transformative result in their life. I've always said that you at least have to practice something every day for a year and a day—to live through all four seasons with a practice, get it in your body, in your psyche, and your soul and your heart in a really thorough way. I believe that working with a mentor, teacher, somebody that has 20 to 30 years experience on you is a really, really important thing to do if you're really serious about doing something or learning something or really working with these things. But my teacher, Demetra George, talks a lot about these practices being "self-secret," which means that the whole thing is not for public consumption. The people who are meant to go deeper will see something in your work that will make them want to pursue it in a way that will likely lead them to something deeper. That's the hope. And those that aren't ready for it won't. They'll just take it for what it is and keep going, which is also perfect. KP: For beginners, I'd recommend the books A Little Bit of Tarot by Cassandra Eason and WTF Is Tarot by Bakara Wintner. Also, the website Biddy Tarot has really good, straightforward meanings of the cards for if you're stuck, which was a really good resource for me when I was just starting out. Shop witch-approved crystals, books, and more below. Next: An herbalist explains the best crytals to boost your mood.